Cons: Wanted extra mounting holes so device did not stick out front of machine. Pros: This will really reduce the noise of a hard drive, and it will keep it cool if you use the thermal tape included. If you don't use the tape, your drive may get on the warm side depending on the rotation speed and how long it is in use. Cons: Getting the sata data cable in can be a tight fit. Other Thoughts: This works well if you have an open optical drive bay open. Pros: Does it's job and reduces or eliminates drive related noise very well and cools a drive in situations where the is practically no airflow around the drive. I have it now in a location in my case where there is no airflow, and it keeps the drive around 52 degrees (C), which is decent. Other Thoughts: I got it primarily to reduce the noise of my Hitachi 7K1000 1TB drive. It does that very well. The pads are essential to the cooling performance; they transfer the heat from the drive case to the sanctum case, which then dissipates the heat. Without the pads there is no heat transfer and any drive will reach 60 degrees or more. I wish it would keep my drive cooler, but overall I am satisfied with what it does. Pros: Quite silent. I can barely hear the hard drive when it spins up, and there isn't much other masking noise in my computer either. Cons: THE WORD "COOLER" IS MISUSED. I'm pretty much convinced that the aluminum "heatsink" fins are just a marketing ploy, as this device does not actually cool the hard drive very well. I'm consistently getting over 60 degree temperatures even just idling my drive (7200 RPM). Poor cabling design. The cables need to deform the foam in order to thread into the device; this holds the hard drive steadier, but the limited amount of room inside the device makes it very, very difficult to use SATA cables, as most are right-angled, but most SATA power cables (like the one provided) are left-angled. I had to buy a left-angle SATA cable to use this device properly. Other Thoughts: I didn't attach the sticky pads to my hard drive, in case I wanted to re-use the cooler on a different hard drive. In retrospect, that was a good idea because I'm now considering not using this "cooler" and finding other quiet solutions. I doubt the cooling ability of this device would be much improved if I did add the sticky pads, as the pads wouldn't be touching any metal surfaces anyway. Pros: I am really pleased with the performance of this silencer, my computer is noticeably quieter. Cons: I didn't notice any reduction in temperature, but this was a worthwhile purchase for the sound dampening qualities alone. I wouldn't even really consider this a con. Other Thoughts: I didn't realize how much noise my hard drive made until I installed this. 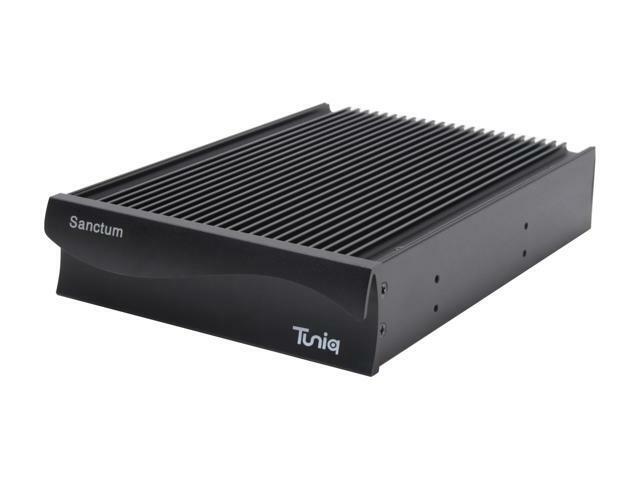 Pros: This is a very nice silencer, I am using it on my Seagate Barracuda 7200.10. Now I can only hear the hdd when it's reading and writing.